"This Zombie kid sounds like kind of a stiff"
Yep, you’re reading that headline right: According to Deadline, Rob Zombie has signed on to direct a biopic about the twilight years of Groucho Marx. (Think Skidoo, not Duck Soup.) The film will be based on a memoir by Steve Stoliar, who worked as Groucho’s personal secretary and archivist when the comedy legend was in his 80s. The book details Groucho’s tumultuous relationship with his manager, Erin Fleming, as well as the constellation of fading stars—like Groucho’s brothers Zeppo and Gummo, Mae West, George Burns, Bob Hope, Jack Lemmon, and Steve Allen—in his orbit. Zombie presumably got the job due to a miscommunication between the director and production company Cold Iron Pictures about the content of his most recent project, the killer clown movie 31. (”Oh, wait, clown murder? I thought you said clown elder.”) And while he is, to say the least, an odd choice for the film, Zombie is apparently a huge Marx Brothers fan: “I immediately saw this project as Groucho’s Sunset Boulevard and knew I had to bring it to the big screen,” he says. 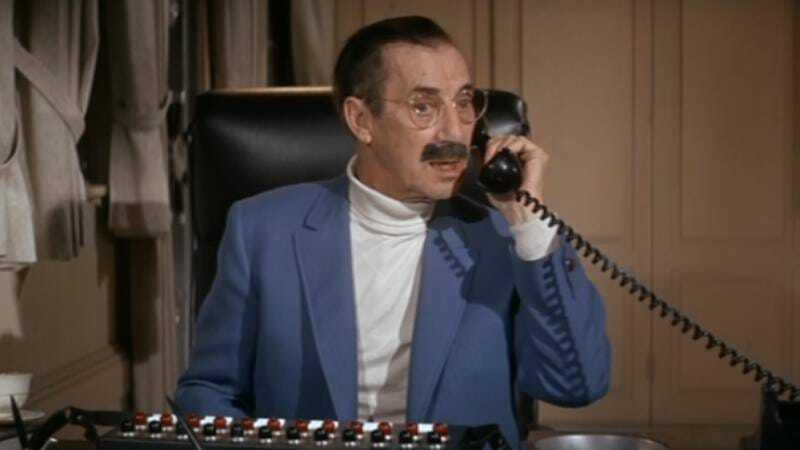 “It is a sad, funny and very dark tale of one of Hollywood’s greatest stars’ final years.” Love & Mercy co-writer Oren Moverman has signed on to write the script, and while no announcements have been made as of yet, the casting of Sheri Moon Zombie in the role of Groucho Marx is assumed.